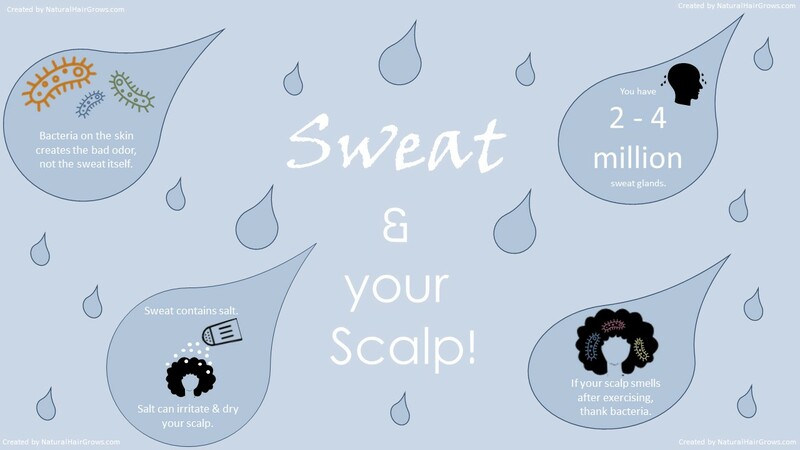 See how sweat affects your natural hair here. Check out below the ways that sweat can damage your natural hair if you aren't careful. Clean your scalp after exercising especially if you perspire a lot. Leaving bacteria and salt on your scalp is a recipe for disaster.